As a Starbucks barista with a lot of experience, one of my favorite parts of my job is teaching people about our menu. I love when I'm able to help a customer find the drink they're craving! I decided to write a series of guides to explain all of the drinks on the Starbucks menu. There really is something for everyone! 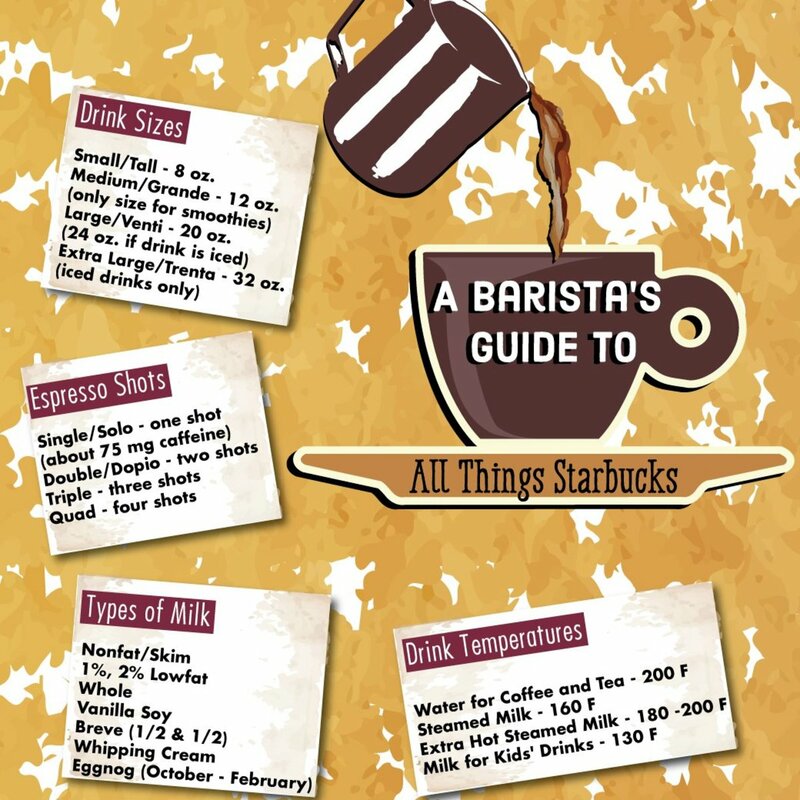 If you're new to Starbucks or totally unfamiliar with the terminology, I recommend checking out my first guide, which details the sizes and basic terms you'll run into. 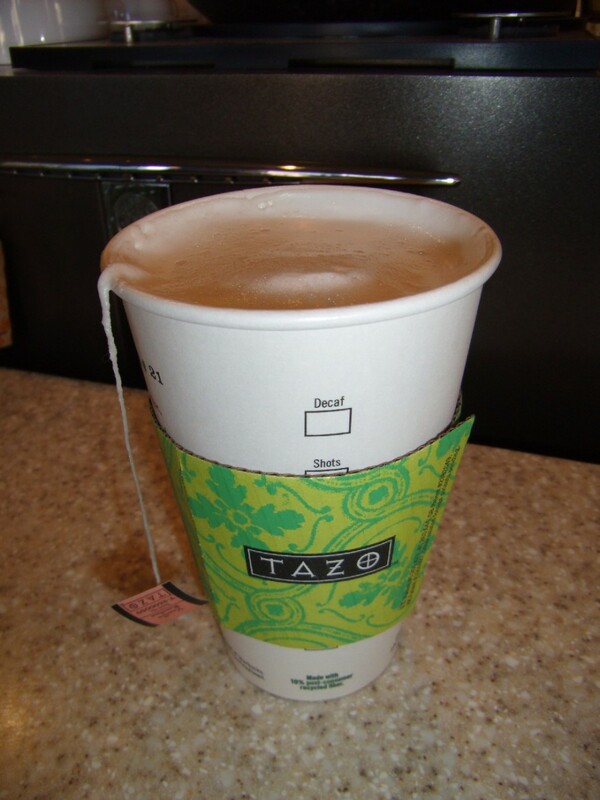 In the previous section of my guide, I discussed the Starbucks hot Tazo tea selections. In this installment, I'll be explaining everything about iced teas. At Starbucks, iced teas are available in four sizes, instead of the usual three. 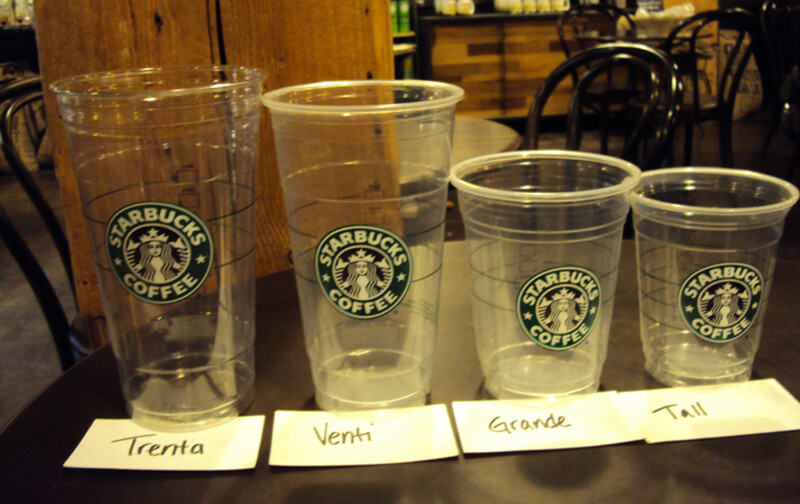 Usually, Starbucks drinks are only offered in three sizes—Tall, Grande and Venti. However, a new size was added exclusively for iced teas, iced tea lemonades and iced coffees. This monstrous 30-ounce cup is called the Trenta. Alternatively, you can get your iced tea unsweetened, or you can get it with any of the other sweeteners that Starbucks offers e.g. sugar, Raw Sugar, honey, Sweet and Low, Equal, or Splenda. I would recommend against using raw sugar or honey since they don't mix into the tea very well, and a lot of it just gets left behind in the shaker. If you're feeling adventurous, add a syrup! Raspberry and Vanilla (available sugar-free) go very well in iced teas. Peppermint (also available sugar-free, seasonally) is a less common choice, but I think it's refreshing from time to time. Summer of 2014 featured the addition of Blackberry syrup and the welcome return of Peach Syrup. Some stores still have these available in stock, but most batches are due to expire in February or March of 2015. Why are they called shaken? Because that's how we prepare them! All Starbucks iced teas are made in shakers with equal parts tea and water. Ice and sweetener are added, and the drink is shaken before it is served. This evenly chills the tea and ensures any sweetener is thoroughly mixed in. Every part of this drink can be customized. For a stronger tea, ask for light or no water, and to make it weaker, feel free to add extra water and extra ice. Technically, any of the Teavana teas can be made iced. It takes a few minutes to make them, though, so I wouldn't recommend ordering one that's not a standard menu iced tea if you're in a hurry or are going through a drive-thru. To make a non-standard iced tea, the barista has to first steep the tea, then pour it over ice. This takes at least five minutes for green and herbal teas, and a little less time for the black teas. 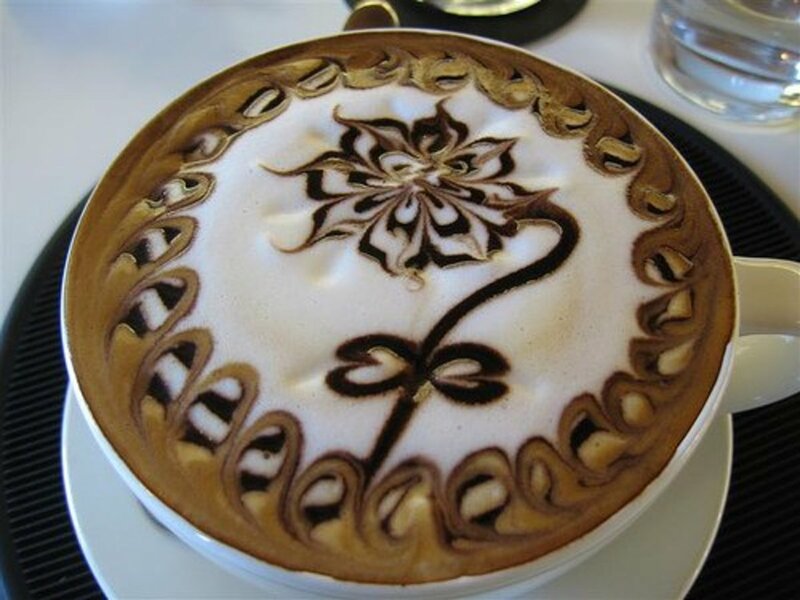 I'm sure that any barista would be happy to do this for you, but as it is not a common request, they may have to step away to look up the recipe! The teas that are brewed in the store are actually made with bags that are specially designed for the way that Starbucks baristas brew their iced tea. They use one of these special tea bags, then steep it in one liter of hot water for five minutes, then top it off with a scoop of ice (to make it immediately cool,) and cold water. This tea is what is added to the shakers - it's brewed double strength so that it doesn't taste watered down when water and ice are added. Below are the standard iced teas that are brewed daily in Starbucks stores. 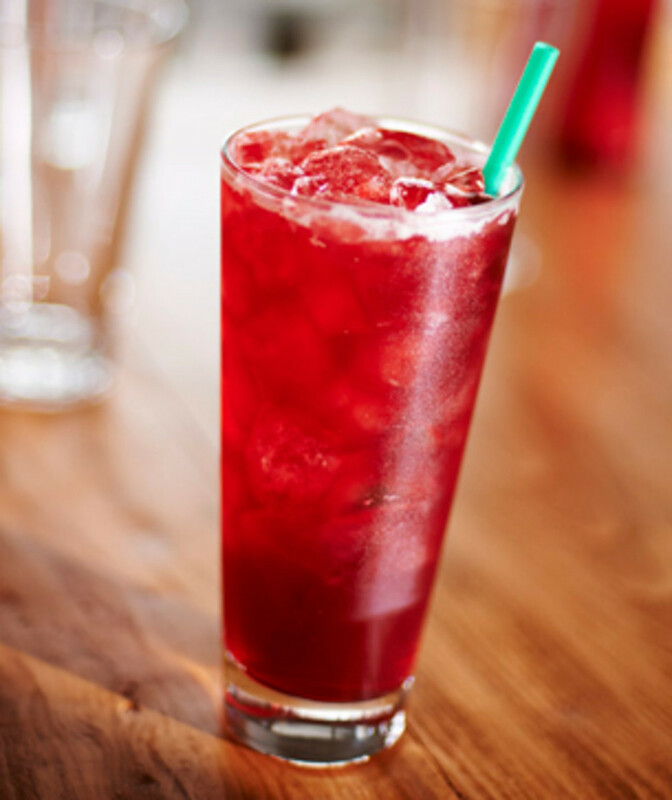 The distinctively red Passion Iced Tea. If you're looking for a standard ice tea, this is the closest we offer. If you were a fan of the old black iced tea, which was a bit stronger, try ordering this without the water added. 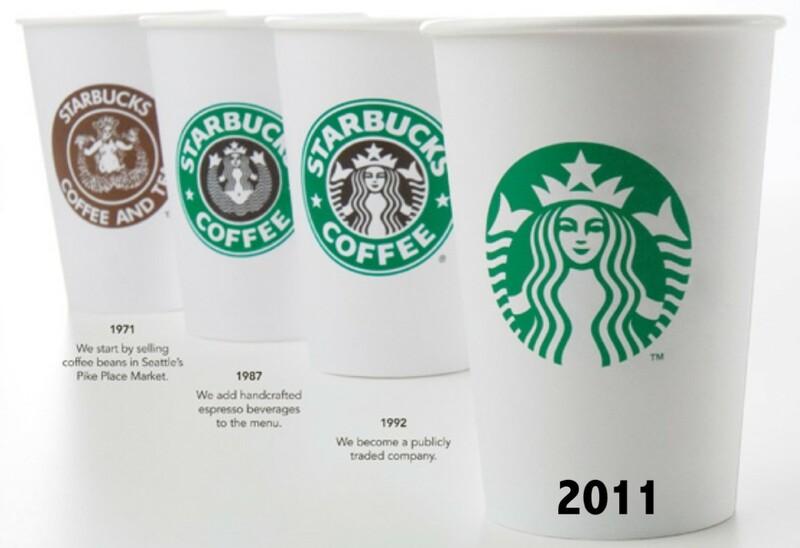 In summer 2014, Starbucks changed tea brands to Teavana. The Teavana Black tea tastes very similar to the Tazo tea we used to use. 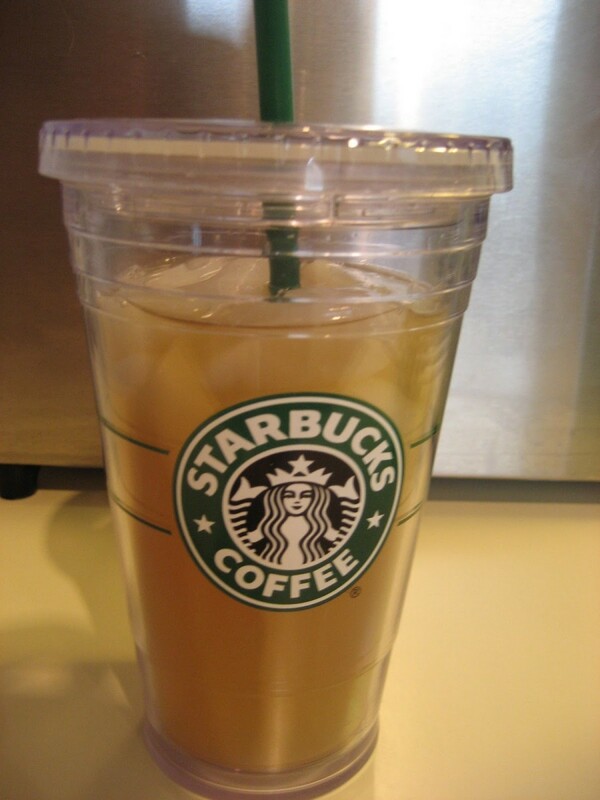 The green iced tea offered in Starbucks is made using Teavana Jade Citrus Mint tea. It's minty and lemony, which may sound off-putting, but it's very refreshing. I prefer to drink this over the black tea, though it has a bit less caffeine. Our only decaf iced tea, Passion Tango Tea is very fruity. I've noticed that it's a popular choice for kids, and though I think part of that is because it's red, the flavor is also great. I like to drink mine with a little bit of sweet and low because it works well with the tea's tart and fruity flavor. Starbucks has great reusable iced cups that really keep your drinks cold. If you're a daily iced tea drinker, you should pick one up! These beverages are made pretty much the same way as the basic iced teas, but lemonade is used in place of water. Everything else is the same! The lemonade that Starbucks uses IS sweetened, but very lightly. 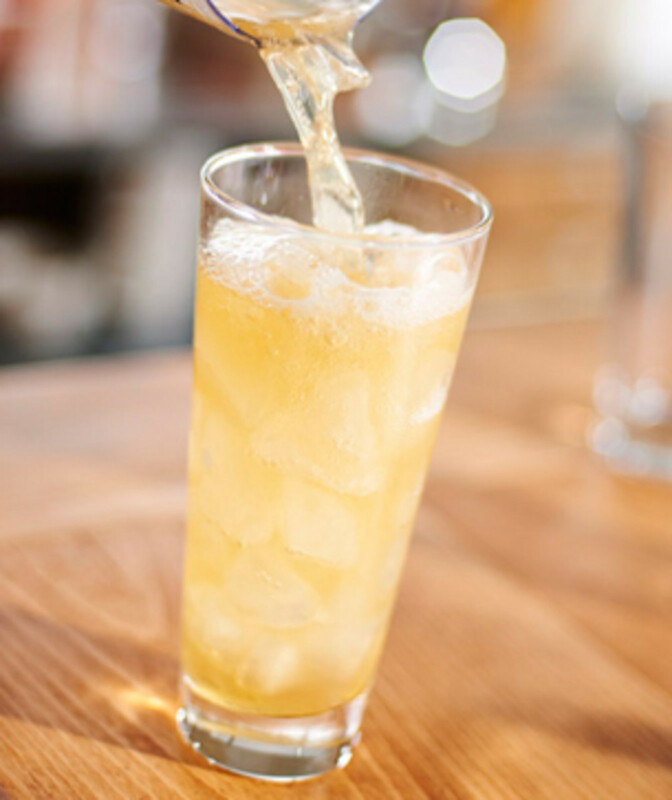 A very refreshing twist on the usual black iced tea, this drink is similar to an Arnold Palmer. The lemonade itself is sweetened, but not a lot. If you don't have much of a sweet tooth, I wouldn't recommend adding additional sweetener. This is my favorite of the Starbucks iced teas. I think it's the most refreshing overall, and the flavor is very unique. Because the Jade Citrus Mint Tea has a lemon flavor to it on its own, it goes very well with the lemonade. With a recent change from Tazo to Teavana teas being served in Starbucks stores, Summer 2014 has seen two seasonal iced teas being featured. This seasonal offering features the same Green Iced Tea that is the standard, but it is sweetened with Peach syrup. The syrup does contain sugar, so unfortunately this is not available unsweetened. This has been featured in the past with Tazo tea, so hopefully Peach syrup will make a come back every summer! Blackberry syrup is a totally new offering for Summer 2014. It has a great berry flavor, and is not as sweet as some of the other syrups we offer. For example, I think this drink is much less sweet than a standard sweetened iced tea or the Peach Green Tea. The Blackberry Mojito Tea and Tea Lemonade is made with Green Iced Tea and sweetened with the Blackberry syrup. This tea is still being tested in certain markets, so it is not yet available everywhere. I've heard a lot of buzz about it from customers. It is made with real cane sugar, and I've been told that it is SUPER sweet. How do I buy the Teavana Black tea at Starbucks? Teavana Black tea may be available for sale in Starbucks stores. Unfortunately, Starbucks no longer has an online store. I have found some results for Teavana teas through Amazon, but I do recommend going to the brick and mortar Starbucks stores, because you will probably get the best price. How many shots of peach syrup is in a tall iced peach green tea? Do some people order one shot of sweet and one shot of unsweetened? If it’s two shots.. I ordered my first regular iced green tea in Canada and it’s not sweet enough and perhaps watered down even.. compared the first one I tried at a kiosk in a mall in Texas 11 years ago.. and well.. of course.. the bottled green tea at subway out here.. I’m trying to figure out how to order it sweeter but not too sweet! I’m akso thinking it’s a cheaper alternative to my usual Frappuccino.. seeing as I only drink hot when I’m sick and I hate coffee but need a little caffeine! when you order a ice tea and you say "no classic" what does that mean? 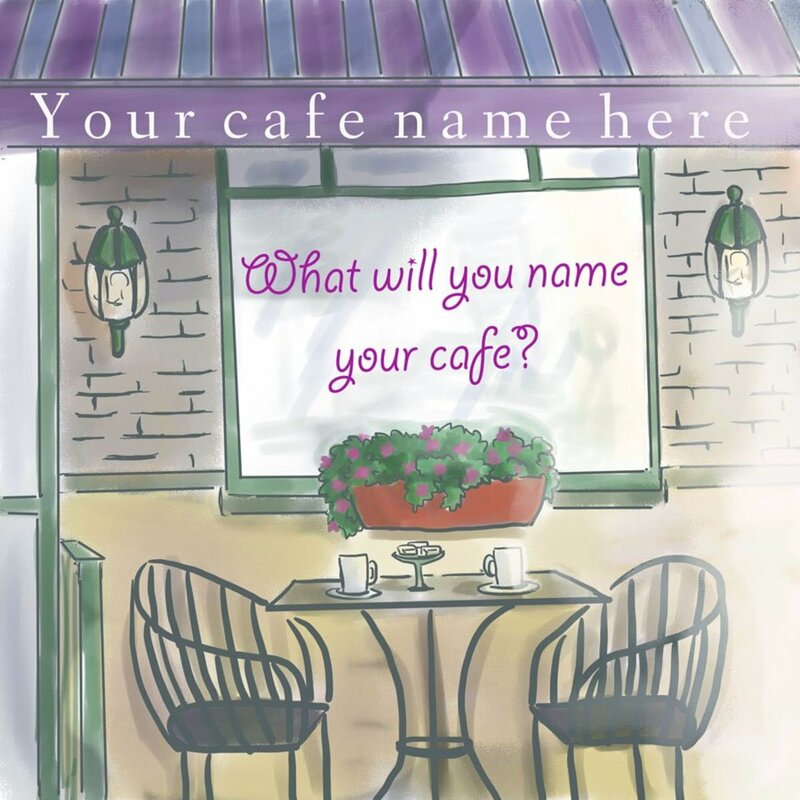 What is the difference between a herbal tea and brewed tea at Starbucks? I asked the question to your employees at Starbucks how long the tea sits out before making new batch they told me 12 hours, looked up how long brew tea can sit before becoming contaminated it is only 8 hours. The reason I asked was the other night we got a venti and a Trinta black teas didn't taste til we got home and it was so bad we threw it out. When looked on your website you do not say how long you keep tea after it is brewed. What is the water/lemonade to tea ratio? Sorry if you already said it up there! Can I get a cool lime refresher without the minty flavour? Is black tea with no water instead half and half weird? I am wanting to make the Green Tea Lemonade at home. So I would get the Teavana Jade Citrus Mint Green Tea. Then keep that in a container. Put lemonade in a container then when wanting to make a glass put the same equal parts water and tea..some lemonade. Simple syrup and then shake it(like in a blender bottle)? How many tea bags would you use for a small pitcher? Also is your lemonade already sweetened? I am wanting to make the Green Tea Lemonade at home. So I would get the Teavana Jade Citrus Mint Green Tea. Then keep that in a container. Put lemonade in a container then when wanting to make a glass put the same equal parts water and tea..some lemonade. Simple syrup and then shake it(like in a blender bottle)? How many tea bags would you use for a small pitcher? Love all of these Starbucks iced tea flavors. It would be great, if they came in K-Cups. I might have to visit Starbucks this summer. Voted up for useful! Unfortunately, no. I was really hoping they'd bring it back this summer, but I have seen no signs of it yet. Is Starbucks still carrying the BlackBerry syrup? I believe the black tea we use for iced tea is the same blend as the English Breakfast tea. However, we get it shipped in a totally different type of package with larger sachets to suit our needs. On the Starbucks store, it seems you can only buy the Tazo iced tea sachets and not the Teavana ones yet, unfortunately. Thanks! There's some confusion with this because the menu often reads 32 oz, but I notice the cups have 30 oz printed on the bottom. I love the Blackberry Mojito! It seemed to sell well, so I'm hoping it will stick around. My store still has a decent stockpile of the syrup because we ordered too much towards the end of the season, so hopefully a store around you did the same! Could you say specifically which Teavana black tea is used currently for the Iced Black Tea in stores? From what I understand, you cannot get iced tea at most Starbucks stores in the UK. I would ask your local baristas if they can make you a custom iced tea, because it is a recipe we have in the US. It does take us five minutes to steep the tea when making it this way, but I have heard that traditional iced tea is not on the UK menus, so this might be a good option. Can I get iced tea in the UK ? I've definitely tried this, and it's a great option to play around with. My recommendation is to replicate our hot tea lattes iced. For example, I'd suggest the first thing you try be a black iced tea with vanilla and milk instead of water. I order this from time to time. Would iced tea + milk be a possible/good combination? I wanted to try these out after reading this guide. Unfortunately I can't get them in my UK store :( (I contacted Customer Services to check) Iced tea is not that popular in Britain, which is a shame as I quite like it sometimes especially the flavoured ones like mango or peach. I'd recommend trying out the Passion Tea Lemonade. The lemon can be soothing to your throat. We can also do an iced Calm tea, which is our version of Chamomile. It's tasty with or without lemonade added, but it does take about 5 minutes for us to steep to make it right. What would you recommend adding to the iced passion tea to make it more refreshing for a cold/cough and sore throat? I'm glad I helped you pick out a new drink to try! Most of the syrups in the store have similar calorie counts - for example, the raspberry would be the same as the classic syrup that is generally used to sweeten our iced teas. 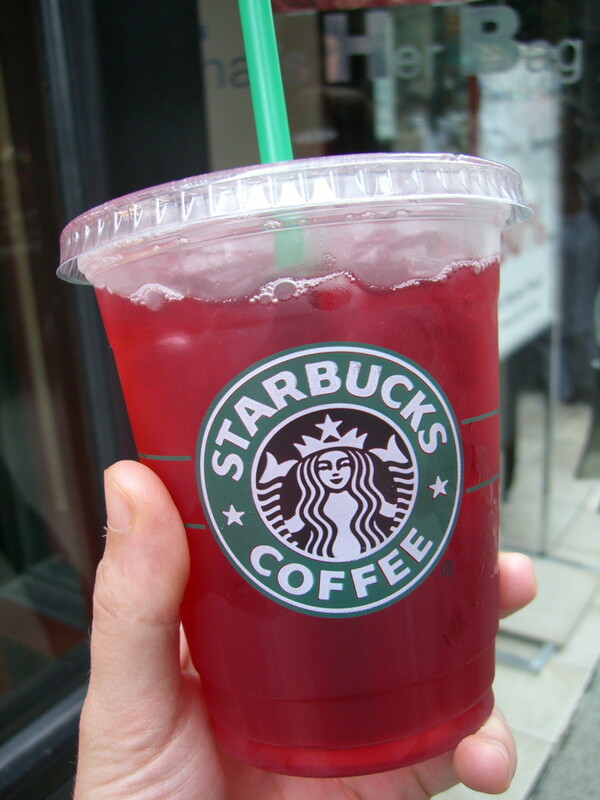 So, a grande green tea with raspberry would be about 130 calories, and a trenta would be 230 calories. Do you know anything about calorie counts? I've been drinking raspberry green iced teas since I read your article but I can't find the calorie count for it. Any insight? Usually get a grande or a trenta, thanks! The starbucks.com store offers a tea shaker/to-go cup, but it is only a Venti size and does not have the markings. I would suggest buying a large enough container (any sort of water bottle with a secure cap) and using one of the Starbucks Trenta cups to copy the lines over with sharpie. Super helpful! 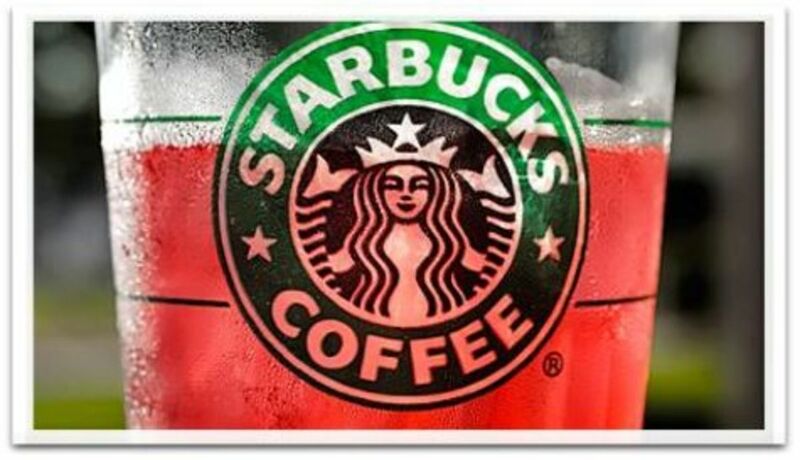 I am a Starbucks loyalist - twice a day every day! One major issue though: how do I get a shaker (with the same markings as the store) to make my Treinta iced teas each morning? Many thanks! How does it cost to buy a coffee free Raspberry Passion Tea Lemonade?! There aren't any blended iced teas on the Starbucks menu, unfortunately. I used to have a customer I would put a regularly made iced tea into a blender for because her daughter loved it that way, but the result is kind of a slushy mess. 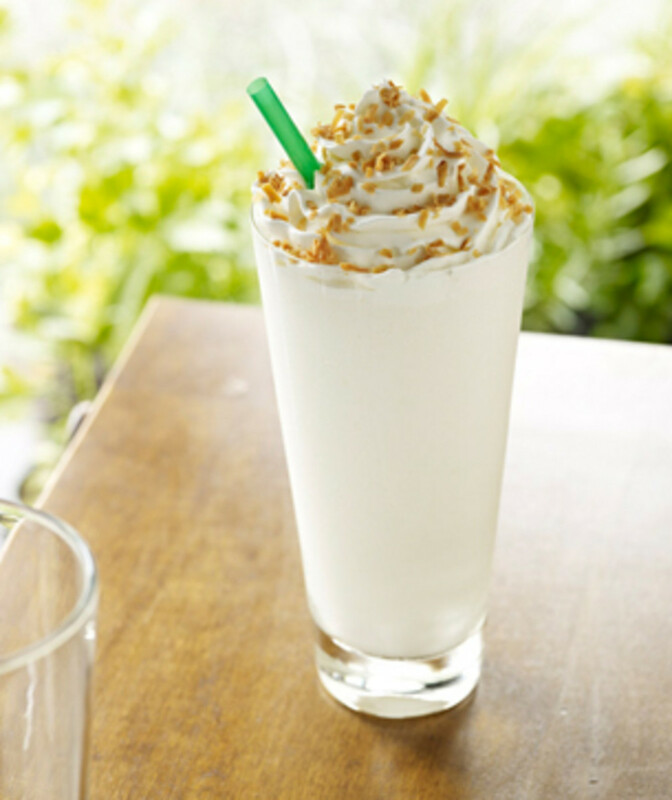 What gets Starbucks blended drinks to really hold together is the Frappuccino bases. If you really wanted to experiment, you could try asking the barista to add some Creme base (which has no coffee flavor) and blend it. This would add more calories and more sugar, but it might be worth it! A tea latte is half tea and half steamed milk, in the simplest of terms. I love e black tea. I am thinking of purchasing the classic syrup to go with my tazo tea. This is a great guide to the Starbucks iced teas. I've never tried any of them, since I'll normally get some type of iced coffee drink when I go there but now I'm curious to try them. I also had no idea that there was a size available larger than a Venti. From what I can tell with the iced tea that Starbucks now has available to make at home, it's brewed just the same. I've bought some and made it at home myself. We do it double strength, then add water and that's what we're working with in our pitchers in the stores. The difference seems to be that we add extra water when we actually make the tea. We use roughly half tea and half water, then fill the rest of the shaker with ice (to the specific size line.) Shaking it does seem to make a bit of a difference. The specific steps in order are this: Add tea, add water, add sweetener, add ice, shake. If the tea tastes stronger than usual, I'd definitely try adding more water. However, if you think it tastes weaker, you can change how you're making it. I know the box gives a specific amount of water to add after you've steeped the tea bag, so if it tastes to weak, just add less water. Hi! 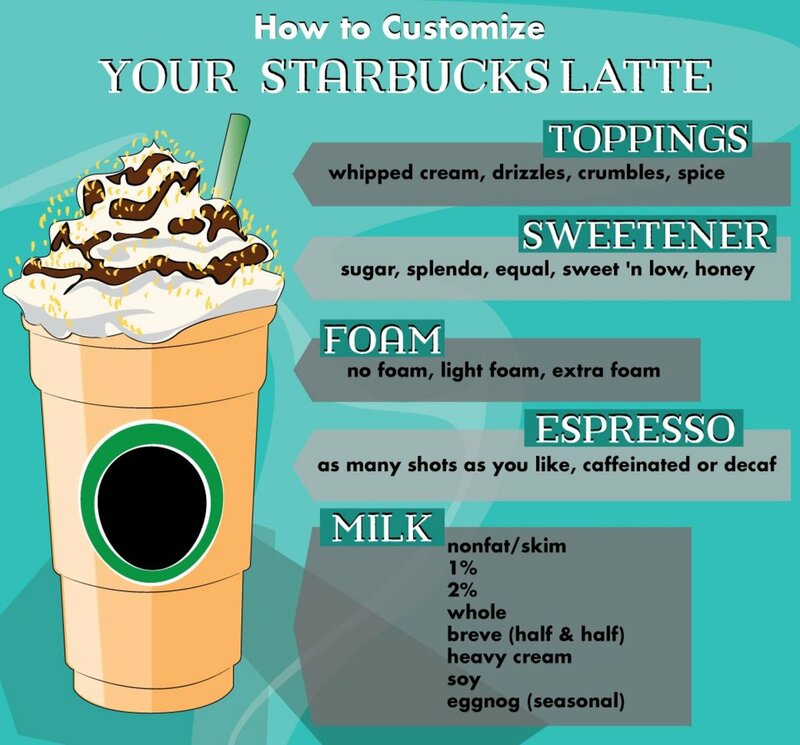 This blog is extremely helpful for making my favorite Starbucks drinks at home! I was wondering though, for a black shaken iced tea, how would you prepare that? 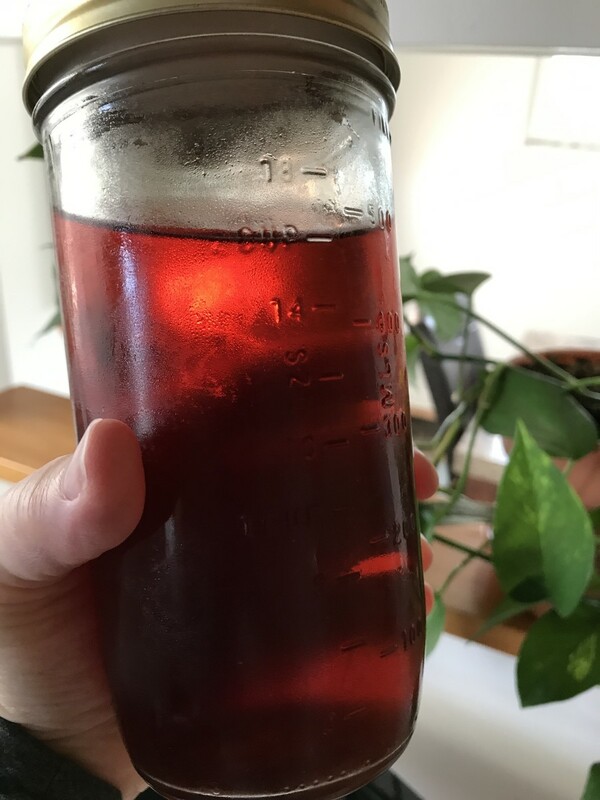 I made 32 oz of the tazo black tea at home and made my normal drink (black tea with 2 pumps raspberry & 4 splendas) but it didn't turn out how it normally does. I there something I did that the baristas do differently? Thanks for your help! That's a tough one! I generally drink my tea unsweetened or with a packet or two of splenda, so I can replicate that pretty easily at home. I know you can buy the Classic syrup from Starbucks' website, but I understand not wanting to spend extra money when you could just use sugar instead. starbucks has recently started selling the tazo iced tea bags to make your own at home. i just made green tea lemonade, but i don't know how much sugar to add for it to taste similar. do u know the measured equivalents to the number of pumps? I'm a huge zen fan, I find it so refreshing. Fab idea to create this guide!!! Great work! What a great hub! I'm confused enough by the coffee choices, let alone the tea! But I love a Starbucks iced tea on a hot day. I'll have to bookmark this for future reference!